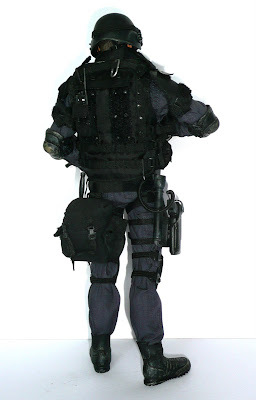 Hot Toys released their first SWAT figure in 2001 with Keanu Reeves' likeness for the role he played in the movie Speed (1994) as Jack Traven, LAPD SWAT explosives expert, which also starred Sandra Bullock. Unfortunately, Hot Toys was just coming out into the market and was too hasty with this release and quality was lacking. 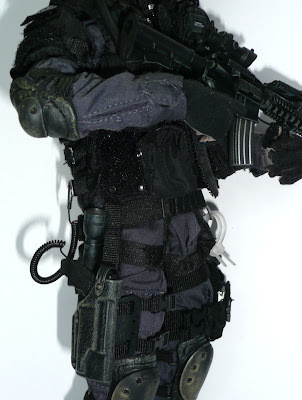 As a result, the assault vest IMO was too big and looked oversized. 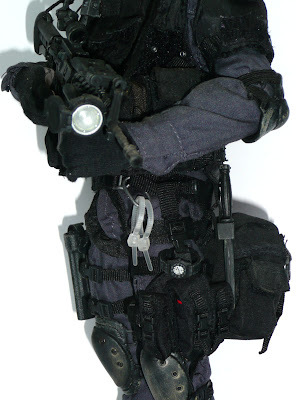 In 2004, Hot Toys released their second LAPD SWAT figure (v2.0), most likely due to the release of the "SWAT (2003)" movie. 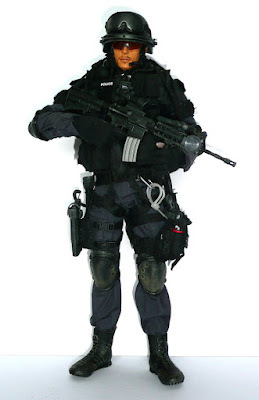 This time they got it right with the uniform, gear and all. 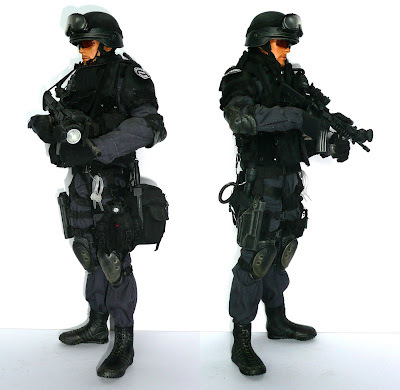 Hot Toys went on to release SWAT v3.0, accompanied by a female SWAT figure. 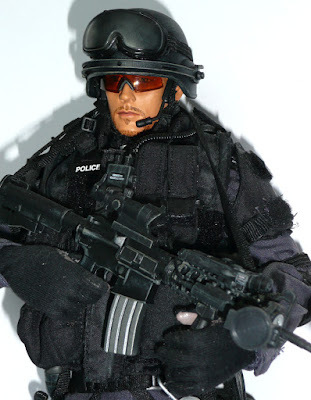 There's also the Los Angeles County Sheriff's SWAT "Chuck Morris", FBI HRT, BBI Cleveland SWAT, Dragon's Colin Farrell SWAT figure, BBI LAPD SWAT "Sergeant Mendez", Takara's Combat Joe SWAT, Dragon NYPD ESU "Bill" and "Winona". Hi Michael (Tuno), thanks for looking. Unfortunately, Hot Toys' products are VERY HOT and they disappear from the shelves real fast. Best bet is e-bay when somebody let go of theirs, plus a lot of the products there are in the US so you don't have to worry about shipping. hey bro! need your expert opinion, which is better? the 2.0 version or the 3.0?? email me at generalsam@gmail.com!